The staffing level of a hospital directly affects the quality of care patients receive. If you suffered an injury that you believe resulted from a poorly staffed hospital, our attorneys and our board-certified doctor will review your case to ensure you receive full compensation. Hospital under-staffing errors have increased in the Scranton, PA, area and across the nation. If an error caused by inadequate staffing has led to an injury for you or a loved one, contact Foley Law Firm today to discuss the specifics of your case. Nurses these days are spread thin. They work long hours and carry large numbers of patients daily. According to the Centers for Disease Control and Prevention (CDC), about half the population will go to an emergency room for outpatient care in a single year. Nearly 10% of the population requires an extended hospital stay. Although several states have enacted legislation to ensure hospitals maintain adequate nurse-to-patient ratios, much of the country still suffers from inadequate staffing. Although several states have enacted legislation to ensure hospitals maintain adequate nurse to patient ratios, much of the country still suffers from inadequate staffing. Hospitals have a duty to provide patients with quality care. Hospital managers are responsible for ensuring their facility is properly staffed. When they fail to do so, serious injuries can result. Patients or their loved ones can file a medical malpractice claim, both against the specific medical personnel as well as against the hospital. 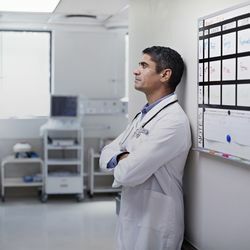 Hospital under-staffing errors are classified as medical malpractice. Injured parties can file a claim against the responsible nurse or other staff member. They can also file a claim against the hospital’s management. Had the managers ensured the hospital was appropriately staffed, the injury may not have occurred. Our attorneys are here to help you with your claim. We have a wealth of knowledge and expertise in medical malpractice cases. Additionally, we have private access to both a board-certified medical doctor and registered nurse. They will assist in reviewing your medical records and the evaluation of your claim. If a hospital under-staffing error resulted in the death of a loved one, our attorneys will file a wrongful death claim. These claims cover the above damages, as well as funeral expenses and loss of companionship, nurturing, and guidance for immediate family members such as spouses and children. If you or a loved one suffered a serious injury due to an inadequately staffed hospital, contact our law firm today to schedule your initial consultation. With the help of our on-staff doctor and nurse, we will review your case and help you begin the process of filing your medical malpractice claim.